PM Victor Ponta and the Russian ambassador in Bucharest Oleg Malginov have castigated the Prosecutor’s Office move to put Petrotel-Lukoil charge stocks (petroleum, black oil, gasolines and Diesel oils) under precautionary attachment. 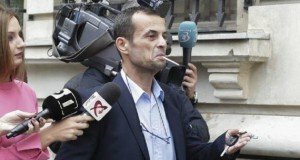 The Prosecutor’s Office with Ploiesti Court of Appeal conducted more searched at Lukoil refinery last Thursday on charges of tax evasion and money laundering, with the officially estimated damage mounting to EUR 230 M. Following the investigation, Ploiesti Lukoil refinery closed the books on Friday. Late on Monday Petrotel-Lukoil’ s general manager and trade union asked for Prime-Minister Ponta’s help to resume activity and get the companies’ accounts unblocked. “We are not opposing the investigation (…) but due to the accounts’ freezing the refinery cannot buy chemicals, cannot pay its suppliers and contractors and also the employees’ wages. Over 2,500 workers on the platform would thus risk to get jobless, rising the unemployment toll”, the trade union says in a letter sent to PM Ponta.”We kindly ask you to support us in resuming the refinery’a activity (…) you must consider Lukoil would have never risked an over USD $ 1 bl investment over a sum of EUR 230 M, as the image damage and consequences would be tremendously high”,Petrotel-Lukoil general manager Andrei Bogdanov also added in the letter. However, PM Ponta had previously expressed discontent with the prosectors’ distraint, stating there are 3,500 workers for their waged at the refinery and that shareholders would not have fled to Russia and taken the pipelines with them. “We wont’ interfere in the legal investigation, what we do hope is the refinery can pay the wages on Friday and the activity gets back to normal. After that, following the regular investigation, the prejudice can be recovered and people who broke the law can be convicted”, Ponta said. He denied the file is a political one, as “it doesn’t matter it’s a Russian company or from some other country”. “We have to take care of the 3,500 employees, we are talking about some extremely important economical functioning interests of other companies, too. I just trust the investigators’ wisdom and responsibility to find the proper legal solution”, the premier concluded. In his turn, the Russian ambassador to Romania, Oleg Malginov expressed his concern with the investigation into Lukoil refinery. “Halting the plant’s production is of special concern, as it jeopardized the entire Lukoil’ s output chain in Romania”, the Russian ambassador told a press release quoted by Agerpres. Malginov noted that Lukoil company has been investigated several times before since it has been operating in Romania, but the production line has never stopped. He added the plant’s management is complying with the Romanian legislation and stands open to further collaboration with the Romanian investigate bodies. 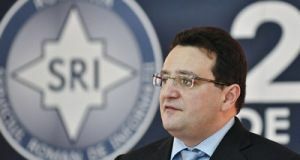 “I hope the investigation will impartially and objectively proceed in compliance with the law and in regard with the interest of both business environment and the workers, as well with the Russian-Romanian relations. I am confident that the Romanian justice system will give proof of competence and compliance with the highest law standards. We shall carefully look at the developments of the Petrotel-Lukoil refinery’s situation”, Malginov pointed out. 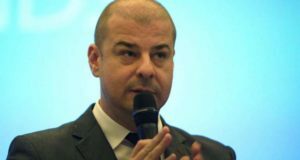 According to the Russian diplomat, Lukoil has created thousands of jobs, has regularly paid his taxes for the Romanian budget, supported local communities, invested in ecology’s maintenance, helped invalid and orphan children and trained Romanian engineers to work in the energetic field. “In a nutshell, Lukoil’s activity gained important constructive substance in the national economy and in the bilateral relations”, Ambassador Malginov concluded. 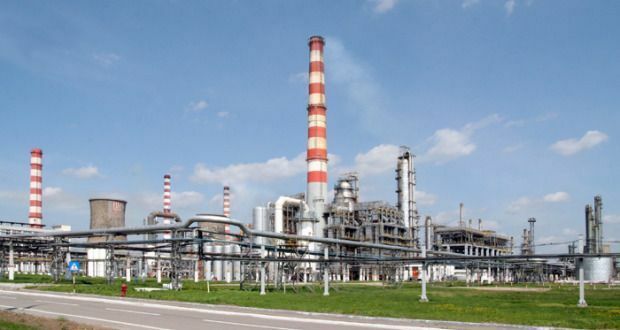 Ploiesti Petrotel refinery has been taken over by Lukoil Russian oil giant in 1998. Lukoil also owns 300 gas stations in Romania, covering 20 per cent of the fuel market in Romania.